The effect of divorce litigation on children can be devastating. These are the reflections of Gayle Nathan, former Family Court Judge. In one case a twelve year old ended up in a psychiatric facility for a prolonged stay with chronic depression and suicidal thoughts. The medical records established a clear link between the litigation and the child’s depression. She was not the only child who ended up in a psychiatric facility that I have knowledge of during the pendency of custody litigation. I can think of at least six cases where children were overwhelmed by their parents’ issues. From the bench I heard a mother’s counsel recite how the parties eight year old had talked about suicide and had two plans for committing it. There are other stories of children cutting themselves during their parents’ custody battles, running away from home, and engaging in misdemeanor crimes. I often thought that the parent with insight understood what was driving their child’s behavior. Unfortunately, there were too many parents who saw the child as having issues. If the parents opt for divorce mediation they’d have an immediate resolution to their custody dilemma. The fallout to their children would be reduced significantly by the absence of prolonged litigation. 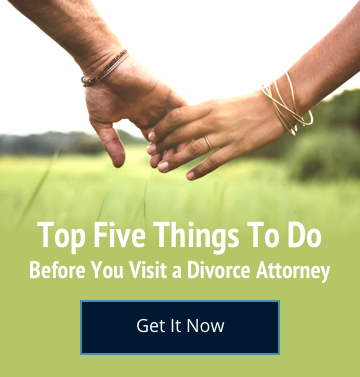 Instead of focusing on how to win a custody battle the parents’ focus would be on the next part of their lives; housing, schools, jobs, building new relationships, repairing those damaged during the break-up and restoring childhood to their children.